There are many ways that your teeth can become damaged over time, from chipping and wearing to staining and overall ageing. Few of us are born with a perfect Hollywood smile, and many people find that their imperfect teeth can lead to a general lack of confidence in their appearance and a reluctance to smile. 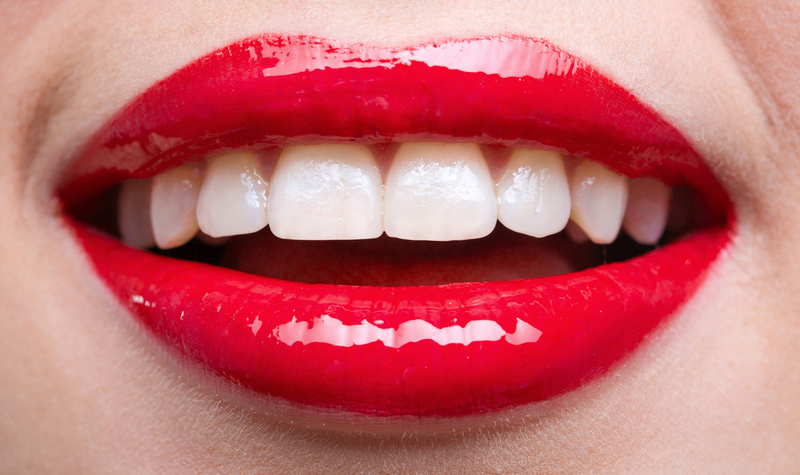 If you are one of these people, then it may be time to consider dental veneers. Veneers are the dental equivalent of false fingernails, using an overlay to cover up dental damage, staining, and general signs of wear. It is an effective method of teeth whitening for severely stained teeth without resorting to harsh chemical treatments, and it can also be used for teeth straightening in cases where your teeth are not too crooked and orthodontic braces are not an option. Veneers are made out of porcelain, ceramic or a composite substance, shaped and coloured to match your existing healthy teeth, and cut into slivers as thin as an egg shell. These slivers are then permanently bonded to your teeth to undetectably cover up the unsightly damage or staining. Veneers can be used on a single tooth to quickly repair any localised damage, or on your whole smile to improve overall appearance and remedy excessive discolouration. They can also be used to fill in gaps by reshaping and enlarging your existing teeth, and also to fix mild cases of crookedness where conventional orthodontic treatment could take up to a year or more. Dental veneers are resistant to staining from tea, coffee or even cigarette smoking meaning you can have a straight, white smile for many years. What’s Involved in Veneer Treatment? The dental veneer procedure is a fairly complicated one and will require two visits to the clinic. You should be wary of dentists who are willing to perform the treatment quickly in one appointment. 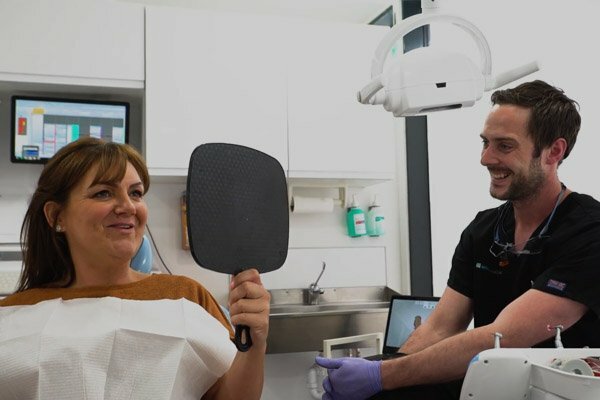 In the first appointment, your teeth are given a detailed check up to look for any underlying signs of trouble that might negatively impact the success of the veneers, and then a detailed mould of your teeth is made from which the final veneers will be fashioned. While your veneers are being made, which will take approximately a fortnight, you will be fitted with a temporary set which will give a good indication of the final results. Once the finished veneers have been received back from the ceramist, they can be permanently bonded to your teeth leaving you with the attractive smile you’ve been looking for. Dental veneers are one of many cosmetic dentistry treatments. If you are unhappy with your smile, you should discuss with your dentist the various options available to find the one that is right for you. Brite Dental offer their patients a wide range of cosmetic dentistry treatments including Six Month Smiles and teeth whitening. To find out more about how we can help you achieve your perfect smile, contact us today to make an appointment. To quote Mother Theresa, “Peace begins with a smile.” A lovely smile can do wonders. You can even get away with certain things, like Justin Bieber. Or your entire face can shine beautifully like Kylie Minogue. So if you happen to have crowded or crooked teeth, don’t worry. There is always the alternative of cosmetic dentistry, as was chosen by Miley Cyrus. If the thought of braces is off-putting, rest assured that with clear braces, most people won’t even suspect that you are wearing them. Apart from doing its job of perfecting your smile, the braces are hardly visible to others. How can clear braces help to perfect your smile? To start with, clear brackets, braces or aligners are barely visible. So even if you were to wear them, others who see your smile are hardly going to be aware of them. To keep the brackets in place, an orthodontist normally places special nickel titanium wires that are of the same colour as your teeth. Considering how it is a proven thing that wearing braces is the best dental treatment for teeth straightening, there is nothing to worry about effective results. Brite Dental team offers a variety of orthodontic teeth straightening solutions including Six Month Smiles, Inman Aligner, Invisalign and similar cost effective treatments. Why choose Six Month Smiles orthodontic treatment? The clear Six Month Smiles clear brackets are more cost effective, hygienic, safer and more comfortable compared to traditional wired braces. With traditional braces, a dentist utilizes a higher amount of force and the treatment is of a longer period, ranging from two to three years. Six Month Smiles usually take around six months to complete and achieve a desired result. The Six Month Smiles dental treatment is not something that is absolutely unusual. It is merely a result of traditional dental treatment and modern advancement in dental treatment. Six Month Smiles clear braces are the product of research and studies to give the best of cosmetic dental care within a shorter period of time to patients. Adults and those older than 15 normally stay away from braces even when they are yearning to better or perfect their smiles because of the embarrassment, time and cost of wearing traditional braces. Six Month Smiles is the answer to this. Would it yield results? Since its core concept is similar to that of traditional braces, there is no worry about its effectiveness. With Six Month Smiles Patient Tray Kits, you can enjoy shorter dental trips, which would save your time and money. Did you know that our dental practice in Paisley has become a recognized Six Month Smiles provider due to years of experience in the industry? Contact your local Brite Dental clinics in Paisley, Clarkston, Bridge of Weir or Houston and book your consultation today. You don’t have to feel self-conscious about wearing the braces in public. After six months, you get to enjoy the feeling of being able to bestow a perfect smile on anyone.